Classes Taught: HONR 120 - Connection to the Cosmos. Fall 2015, Fall 2016. ASTR 132 - Stars, Galaxies, and the Universe. Spring 2018. I grew up in central Wisconsin (where I ate a great deal of cheese, and watched a lot of Packer games). As a high school student, I fell in love with astronomy, and I was forever changed. I did my undergrad work in Wisconsin, where I earned my BS in Physics in 2002. After graduation, I fulfilled my dream to move out west, where I spent the next 10+ years in Laramie, WY. While in Laramie, I spent 8 years as a graduate student at the University of Wyoming. As a graduate student, I gained experience in two different fields: 1) physics & astronomy, and 2) counseling. In the area of physis & astronomy, I focused most of my energy into astronomy teaching and outreach. As a counselor, I became trained as a mental health counselor, and then worked as a school counselor for two years. Ultimately, I had always hoped to find a position that allowed me to combine my love of astronomy & physics with my passion for working with students. 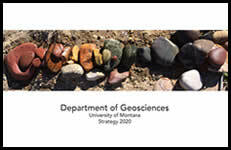 Just a few years ago, in 2013, I began working here at the University of Montana in the Department of Physics and Astronomy, serving as the Academic Advisor - Recruitment & Retention Specialist. The position is an ideal combination of my background and interests. Since arriving at UM, I have been thrilled to be working my dream job, and I am grateful every for it every single day. Through my years in academia (and some times inbetween), I have been extremely fortunate to experience several different professional settings. As an undergraduate at UWSP, I spent 5 years working in both the university planetarium and astronomical observatory. Upon completing my BS, I worked at a high school in Wisconsin as a professional tutor and substitute teacher. 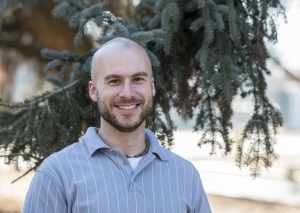 After moving to Wyoming for graduate school, I trained to become a counselor while simultaneously teaching for the department of physics & astronomy. After 5 years as a physics & astronomy TA, a personal highlight was having the opportunity to teach ASTR 1050 (introductory astronomy) at UW for a couple years. During my summeres in graduate school, I spent 6 years teaching astronomy for high school students in UW's Upward Bound/MSIP program. Finally, I was also fortunate to work with middle school students in UW's Astro Camp program. Regarding counseling experience, after my first year of clinical practicum, I served as an intern at the University Counseling Center at UW. While with UW's Upward Bound program, I also spent several summers as the professional counselor for the residential students. For two years, I also had the opportunity to be a coordinator and group facilitator for Wyoming's PhotoVoice Project (working with youth and families with mental health care needs). Recently, I was the 9th grade school counselor at Laramie Junior High School (in Wyoming) for two years. Finally, during my last semester in graduate school, I was able to work as a graduate residence coordinator, working with RA's and students in the residence halls at UW. After a long day, in the evening, I am often out stargazing. When indoors, and in the evenings, I have a love for music, reading, good food, and the Green Bay Packers. All of these activities are best when shared with a good friend or two.